In Hackbright Academy’s rigorous 12-week Part-Time Software Engineering Program, students learn the skills to become engineers and build impressive web apps to demonstrate their skills as developers. Learn more about these phenomenal women in their own words and learn about the wide variety of apps they built, each showcasing our new alumnae’s unique interests and personalities. Amanda graduated from UC Santa Cruz as a double major in Marine Biology and Environmental Studies, where she explored her passion for science dialogue. She then worked as a high school teacher creating and communicating science curriculum to 150 students. Amanda got her first taste of coding through a friend who wrote a simple script to evaluate her student’s test and homework scores. While teaching was invigorating, after realizing how efficient these tedious tasks could become she dove head first into learning Python. Between her knack for solving puzzles, passion for working collaboratively, and ever-growing programming skill set Amanda has laid a strong foundation for a career in Software Engineering here at Hackbright. ShowSpotter is a web app geared towards folks looking to expand their music library outside of their headphones. This app allows users to see upcoming concerts in their area that are based on their personal musical preference. The application uses Spotify’s OAuth 2.0 authentication system for login and queries the Spotify API for the user’s top artists to display. Once the preferred artists are selected the app queries the Eventbrite API to find relevant upcoming shows within the area. Users are able to save shows they’re interested in attending and see which shows other users are attending. Used Python unittest to achieve over 75% coverage of app functionality. In her previous life, Daureen taught high-level math in high schools and universities. Following her philosophy that you will only regret the things you didn’t do, when asked by her principal to teach coding, she decided to pursue a passion of hers and study to become a software engineer at Hackbright Academy. 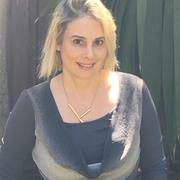 She possesses a master’s degree in Operations Research from the prestigious Technion Institution in Israel, where she wrote her thesis proving a known problem to be Np hard. She has also worked for years as a project manager in IT companies achieving tight deadlines and happy customers. In her future, she sees herself utilizing her outside-of-the-box thinking and analytical skills in a growing company. A web application that allocates tasks defined by parents to their children. Tasks have the following attributes: mandatory/voluntary, frequency (daily, weekly, etc. ), minimum age (some tasks are only for older kids), general/personal (cleaning one’s room is a personal task; taking out the dishes is a general one). The engine assigns tasks in a fair manner, meaning: 1. Every child gets, on average, the same number of tasks per day. 2. General tasks are rotated between the children. All children must write in their diaries once a week. The entries are saved on a Google Drive. Voluntary tasks carry a monetary reward. The ‘redeem’ button triggers an email sent to the parents summing up the balance owed. Daureen has seven years of experience in IT as a project management, data analysis, and system analysis, in which she executed diverse financial development projects owning all aspects of SDLC (from the requirement- gathering to deployment and maintenance). Farah worked in education and healthcare before attending Hackbright. As an acupuncturist, she developed strong problem-solving, pattern recognition, and communication skills. While teaching biology at the high school level, she shared her love of perpetual learning with her students. In the last year, she discovered a real passion for computer programming. 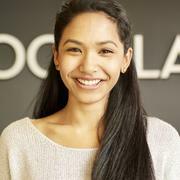 She taught herself to create full stack web applications using Ruby on Rails and is now completing Hackbright Academy. She is looking forward to applying her problem-solving and people skills in a new way through a career in software programming, because she has discovered a true passion for it. GardenTrading allows gardeners to trade their produce with other gardeners who are growing different produce nearby. It encourages people to grow and source food locally. Gardeners can list their own produce and message other gardeners whose produce interests them. They can upload images of themselves and their produce, and find gardens close by to them using GMaps. They can manage listings and upload photos from the User Profile area of the application. They can also search for produce they are specifically interested by doing a full text search from the site’s navigation bar. 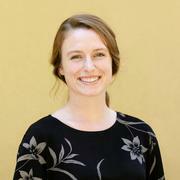 Prior to Hackbright, Freya had a long and successful career in enterprise product management in Silicon Valley. Before working in tech, Freya earned dual degrees in Business (Operations Management & IT) and English Literature from the University of Michigan. As a product manager, her industry experience is wide-ranging and includes IPTV / streaming video, real-time Analytics, E-commerce, and Natural Language Processing. After working side-by-side with software engineers for nearly a decade, she is excited to start applying her coding skills along with her past experience to the next stage in her career. TrackMyMood logs a user’s mood on a 10-point scale as well as hours slept, minutes exercised, and other self-reported data such as comments and hashtags. Users benefit from multiple data visualizations that map their moods over time and note any reporting variances or patterns (ex: graphs that track sleep and exercise vs. reported mood.) The app also makes proactive suggestions via the Meetup.com API based on combinations of a user’s self-reported goals and data trends that indicate a need for intervention. During development, distinct “sample” users were created using various algorithms to generate years worth of user data. This showcases how powerful the data visualization and historical trend detection can be for a user over time. Freya started coding when she was 10 years old at summer computer camp. Since then, she’s kept her skills fresh over the years with part-time night classes at Hackbright, Data Science and coding classes at UC Berkeley, building demos in her various PM roles, and volunteering at children’s programming events. Jessica is currently in a software engineering program focusing on full stack web development and computer science fundamentals. She contributed to her team’s success by guiding creation and deployment of new service lines in the highly complex health care industry. One of her favorite parts when when going live with new business sites and service lines included solving the operational and technical systems integration issues. She is excited to take her experience with business product management, leading teams, and system implementations with her programming skills to be part of the creation and develop of the products that contribute to our community in a positive way. Plant Plotter utilizes the google calendar API to provide users custom reminders of when to plant (and eat!) food grown in their gardens. Object-oriented table dependencies using SQLAlchemy in a postgres database store user-created gardens and plants, and calculate future datetime entries for event creations. A Python/Flask framework integrates with AJAX and jQuery to enhance user -experience so that changes to their garden and plant data are seamless. The next sprint will include increasing test coverage from 60% to 80%, and to implement the Nat’l Oceanic and Atmospheric Admin API to expand access for real-time weather analytics to to determine ideal planting timelines by user geolocation. Jessica has led SaaS product development and implementations most extensively in the healthcare industry. This includes developing system workflows, user interfaces based on business and operational needs, and guiding development teams.These include technological tools and programs to manage digital imaging equipment logistics and a credentialing, licensing, and permit management product that reduced excess spend by 20% and annual revenue by 5%, respectively. 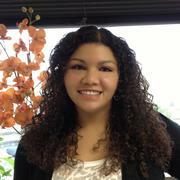 Juliette has always been interested in making her client’s life easier and more convenient. She spent many years as a Concierge for a four-star, luxury hotel in midtown Manhattan. Over time, she noticed that some of the more impact ways to make things easier came from the application of technology to real life problems. However, oftentimes a perfect solution to a problem would require a very customized solution, unavailable off-the-shelf. This sparked her interest in building customized software and shortly after, she left the Big Apple to live remotely and focus full-time on her self-studied career switch into technology and to attend Hackbright. Trifecta’s mission is to provide you with an easy-to-use app to record phone calls. Imagine having a dispute with a customer support hotline, and resolving it by quickly playing back the recordings from a previous call. This app can record any phone call and save the recording for future playback. Phone calls can be made from the frontend website or received automatically via a specified phone number. All of the recordings are easily viewable and playable on the frontend, where the user can look up specific calls, add a short comment or even delete a recording. Juliette taught herself basic Python fundamentals through books where she built her first two projects and online resources. She is a self-starter who is continuously growing and learning. Karen graduated from the University of Chicago with a PhD in Genetics and has been developing diagnostic genomics testing products as a clinical molecular geneticist for several years. During her most recent work at a San Francisco biotech company, Karen led a team in expanding scientific and clinical content to establish one of the most comprehensive hereditary cancer genetic testing offerings. This work has significantly contributed to the growth and accessibility of genetic testing for patients. Looking forward, Karen is excited to apply the skills she has developed towards a new role as a software engineer focused on advancing genomics and health. Stargaze is a single-page app that helps users find the ideal location and date to look up at the stars. Light pollution, cloud cover, and moonphase are the core factors to consider for an optimal stargazing environment. Stargaze takes in NASA satellite images of Earth at night and retrieves night light data for any given geolocation to infer light pollution. This is combined with weather forecasts for cloud cover and moonphase to determine the optimal stargazing setting. All users can explore the map and visualize night light and weather forecast information. When a user is logged in, they can save specific locations and dates to their personal profile and toggle the map to view all mapped locations versus their personally saved locations. Karen has experience with self-study, completing courses from Coursera’s data science specialization and bioinformatic algorithms. Lisa became interested in mathematics and computer programming in high school. She got a BS in Mathematics and took intro programming classes at her University in Russia. After that Lisa got a chance to join Intel Corp. as an Intern in Technical Recruiting, and suddenly found herself mastering her skills in hiring top-notch software engineers. Later on, she worked at Sun Microsystems and Oracle Corp. While she enjoyed working with software developers and hiring managers, she loved technology and problem solving, and decided to switch her career path into software engineering. Lisa looks forward to continuing using her problem-solving mindset along with her new coding skills in a role as a software developer. Moviescope is a personal movie journal, which helps users to track films they have watched or want to watch in the future. A user can search for a movie by title, add reviews and ratings, and store it in a personal journal. Also, Moviescope provides a list of recommendations matching the user’s taste. A user can compile a wishlist of films and find watch options on streaming services and in theaters. Lisa got BS in Math and some C++ coding skills in Russia. After moving to the Bay Area, she worked as a technical recruiter with different tech companies across the Silicon Valley. 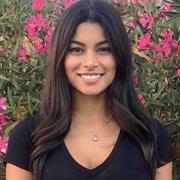 As a starting point in her career transition to software engineering she completed Python for Everybody online course through Coursera, and earned certificates: Python Data Structures; Using Python to Access Web Data; Using Databases with Python; Data Science Math Skills; Internet History, Technology, and Security. 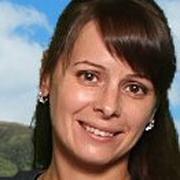 Olga Zaytseva is a trained civil engineer and former business owner. She received her Bachelor of Science in Civil Engineer from the National Research Polytechnic University in Russia and completed MBA coursework at the Moscow International Business School. Having embarked on the journey of learning programming and web design fundamentals on her own, she found both a challenge and an interest in software development. She is a highly motivated and self-starter person looking for opportunities to transfer her skills and experience into the technology industry. Web application gives users a tool to filter for vegetarian and vegan local businesses. It is intended for users who are looking for exclusively vegetarian food. Users can search for places by location name or based on Zip Code. The application provides direction and geolocation via Google.Maps. Previously, Samantha worked as an Associate Architect where she worked with various softwares and as a project manager to create quality products while meeting deadlines. 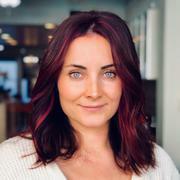 While she enjoyed the planning and attention to detail in architecture, Samantha hopes to use her problem-solving skills and drive for knowledge in a back-end or full-stack software engineering position upon completion at Hackbright Academy. She looks forward to coming up with creative solutions for difficult problems and constantly being challenged. SmartCast is a social podcast searching and streaming app that allows users to store and stream their favorite podcasts. With SmartCast, users can discover new podcasts in the trending page, follow their friends to listen to their playlists, and find events near them related to the artists in their playlists. Prior to entering Hackbright Academy, Samantha took several computer science and programming courses in the software engineering program at Florida Gulf Coast University. In her spare time, she took courses online including Python for Data Science and Introduction to Machine Learning with Python. 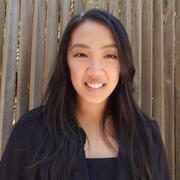 Shirley is a full stack Software Engineer who loves programming and problem solving. She graduated from the University of California, Davis with a degree in Psychology and Asian American Studies. She worked a variety of different admin roles in the real estate industry, and then went on to own her own business as a freelance makeup artist. In 2016, her makeup work was published in London and New York. While she enjoyed the artistry, she is even more excited to apply her creativity towards developing cutting edge technology. She hopes to pursue a career in data science in the future, but most of all she hopes that she can inspire others to start programming. Throwing Shade is a foundation matching application that allows users to upload a photo and then recommends foundation products for the user’s skin tone. Users are able to leave reviews for each brand, see each brand’s latest media posts from Twitter, as well as favorite their preferred products. Shirley implemented k-means clustering in order to find the dominant color for each foundation product and the dominant color for the user’s face. Foundation recommendations are based on the closest color distance between the user’s skin color and each foundation shade. In the future, she hopes to incorporate white balance and exposure adjustment – as well as convert the hex codes to lab space – for more accurate recommendations. 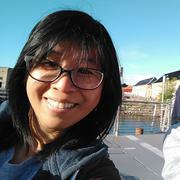 Shirley has done self study on Codecademy, including courses in Python and CommandLine. 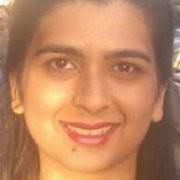 She has also taken classes on Udemy, which include GIT and Object Oriented Programming. Supriya Dublish graduated from college with a Bachelor of Science in Cellular, Molecular, and Developmental Biology, a subject that she loves. During her last few years at the university, she ended up taking some computer science classes and fell in love with coding, especially when applied to analyzing biological data. After graduating, she spent two years working as an admin at a biotech company, but was frustrated that she was unable to do more with her degree. So she decided to switch to software engineering, where she could merge her love of science and problem-solving together to create a fulfilling career. Bibliofind helps users find out when the next book from their favorite author or series will be published. After inputting a series or author name, the application gathers the necessary information from the Goodreads or Google Books API, and displays the information for the user. If a series is not in the application database, users can use the advanced search option to get to a series name by searching by author or book title. Users who have made an account can email these results, and their search history, directly to their email. In addition, registered users can link their Goodreads account to their Bibliofind account, and directly favorite authors for their Goodreads account via Bibliofind. Interested in hiring one of our recent grads? Contact our Partnerships team to let us know about your current openings! Want to learn to code? Check out our upcoming Prep Course and our immersive 12-week full-time or 24-week part-time Software Engineering Programs.